The MEG has produced up to 100 times more power than was input, by extracting free energy from the vacuum. The MEG has been independently constructed, and its overunity performance independently replicated, by other researchers. US Patent awarded March 26, 2002. Invented by Tom Bearden and four colleagues. An electromagnetic generator without moving parts includes a permanent magnet and a magnetic core including first and second magnetic paths. A first input coil and a first output coil extend around portions of the first magnetic path, while a second input coil and a second output coil extend around portions of the second magnetic path. 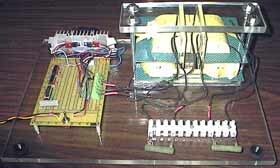 The input coils are alternatively pulsed to provide induced current pulses in the output coils. Driving electrical current through each of the input coils reduces a level of flux from the permanent magnet within the magnet path around which the input coil extends. 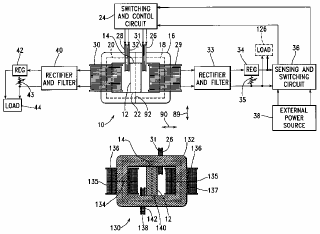 In an alternative embodiment of an electromagnetic generator, the magnetic core includes annular spaced-apart plates, with posts and permanent magnets extending in an alternating fashion between the plates. An output coil extends around each of these posts. Input coils extending around portions of the plates are pulsed to cause the induction of current within the output coils. This patent was filed in Year 2002 and I haven't seen any products had been produced or marketed yet. Just wondering, why nobody interested it?